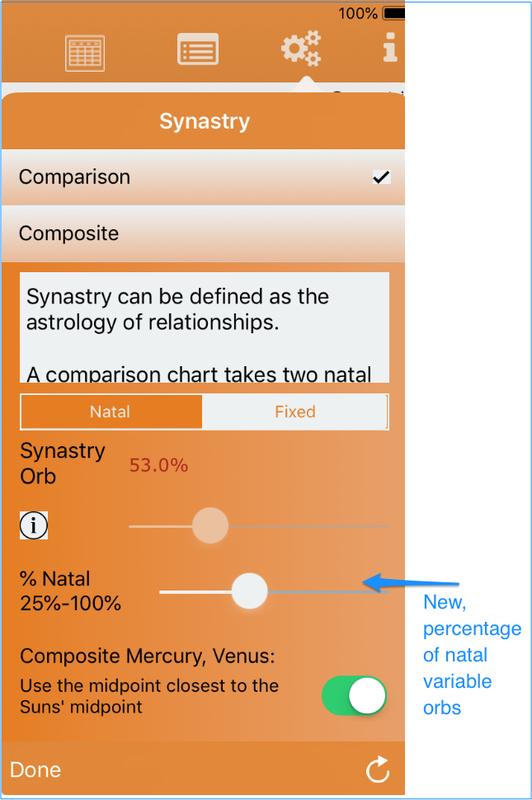 To ensure either Composite or Comparison is selected, long-press Synastry button and select. Select a Natal chart – it must be a natal chart. Other types of charts can’t be used for synastry charts. Tap Synastry. A list of all your Natal charts is presented. AC conveniently only displays natal charts. 3. Enter a unique Composite or Comparison chart name. 4. Tap another Natal chart record from the list. 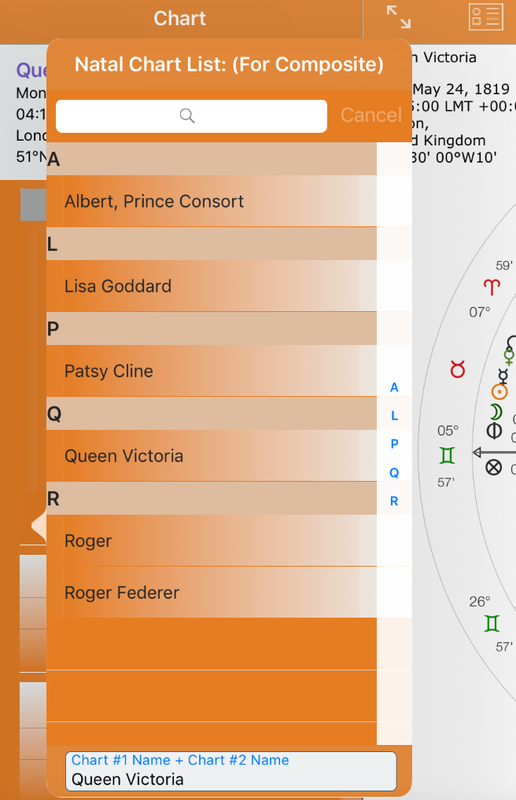 The synastry chart is saved to Your Charts database. Note: Comparison and Composite synastry charts are considered to be Natal charts for the purposes of AC. Therefore to select a Comparison and Composite chart just do as you would a normal natal or horary chart. Day or Hour Lords are not shown for Composite charts.